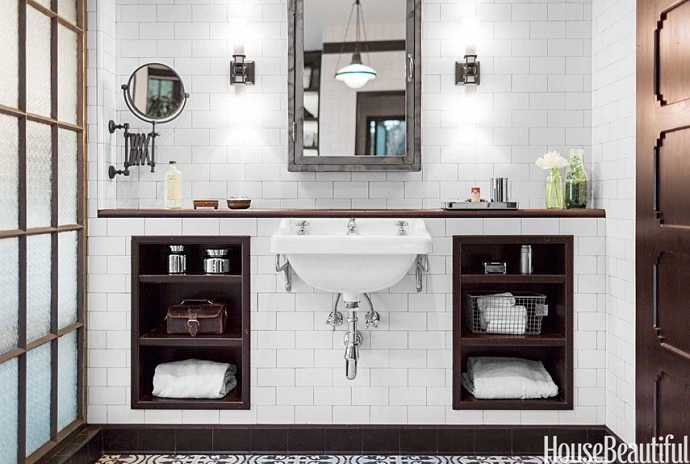 Mix and Chic: An industrial chic bathroom in Los Angeles! Designed by Deirdre Doherty, this old bathroom in Los Angeles now looks fresh with a touch of industrial chic. Let's take a look. Aren't this bathroom beautiful? It is truly a showstopper in my opinion. I am really drawn to the gorgeous mirrored armoire and the floor to ceiling white subway tiles. 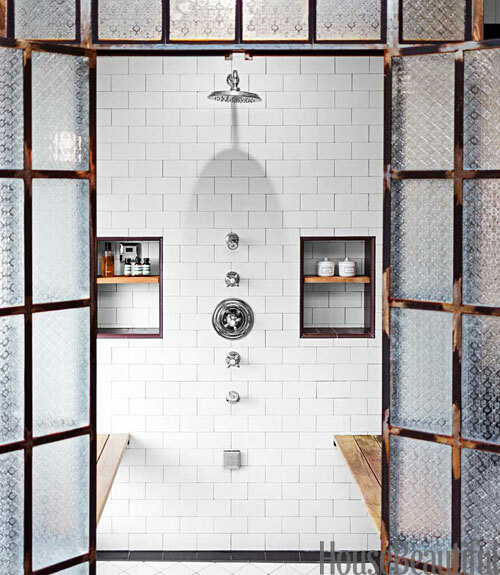 The glass and steel shower stall is absolutely fantastic and let's not forget the fabulous floor tiles. I think the designer did a great job incorporating both form and function in this bathrom, don't you think? What are your thoughts? Are you fan of this inspiring bathroom as well? Not sure I like the tub placement...but the FLOOR, the floor, beyond fabulous as is everything in this space!